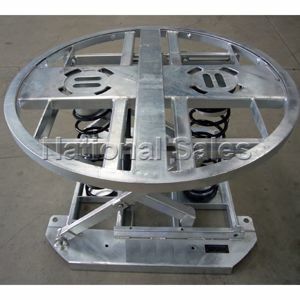 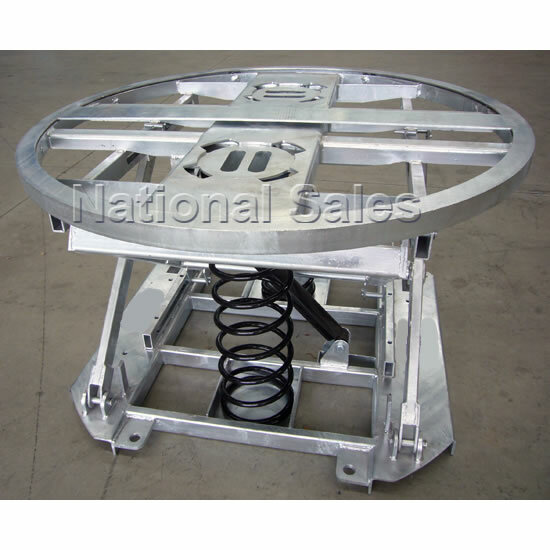 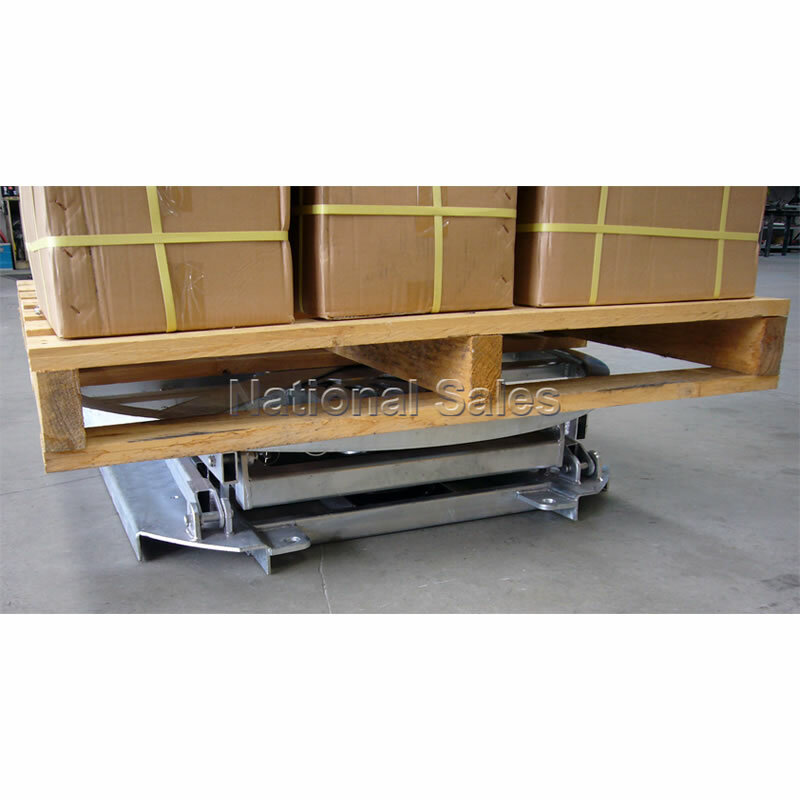 The NS-PL Pallet Leveller comes complete with three springs. 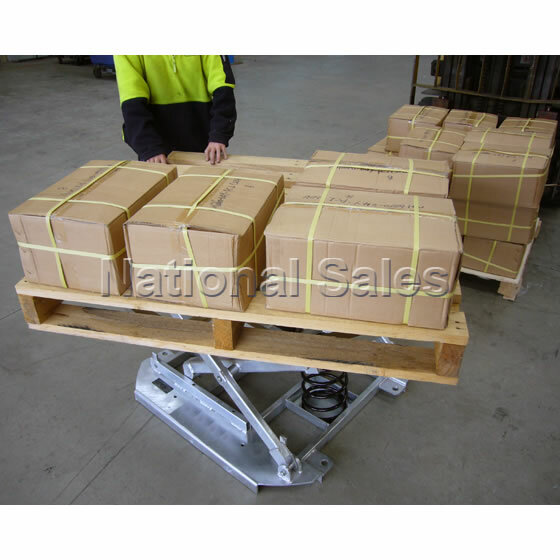 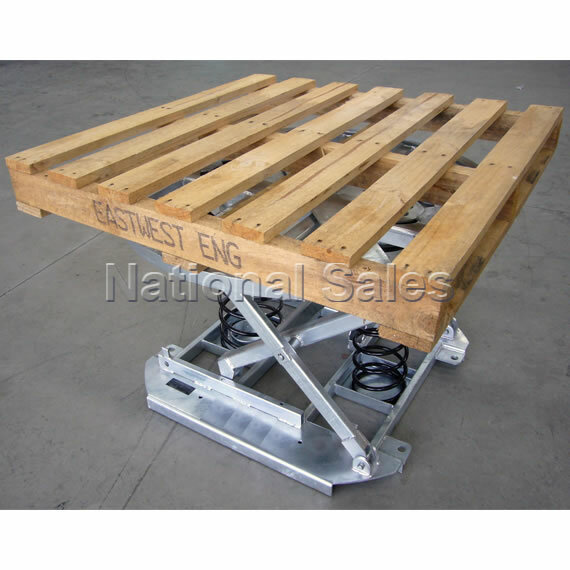 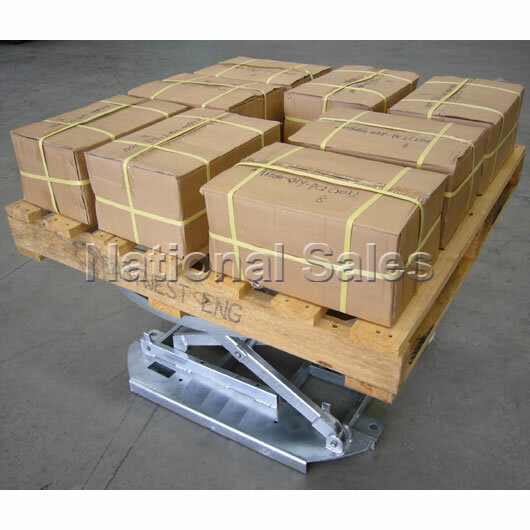 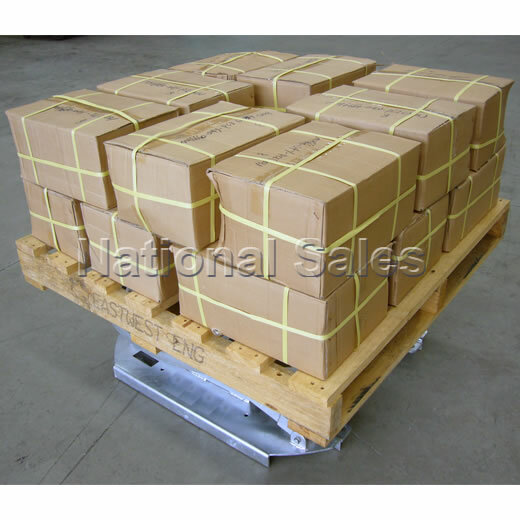 Either one, two or three of these are used as required depending on weight of the pallet. 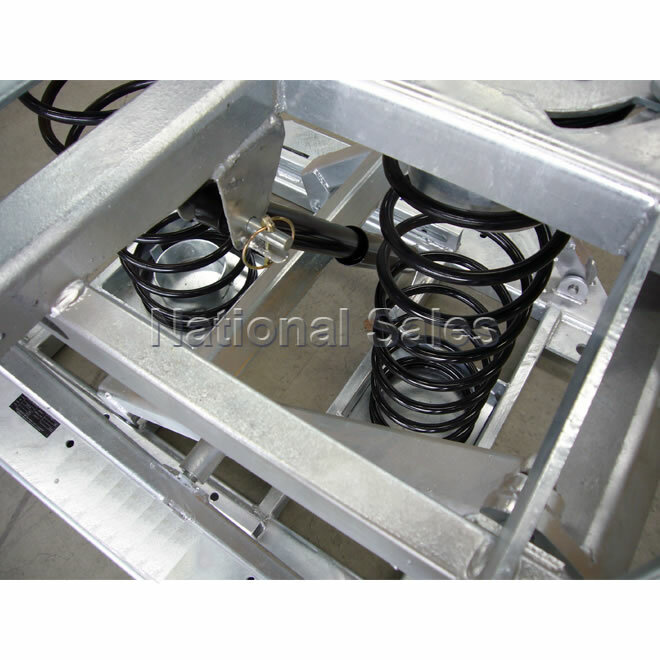 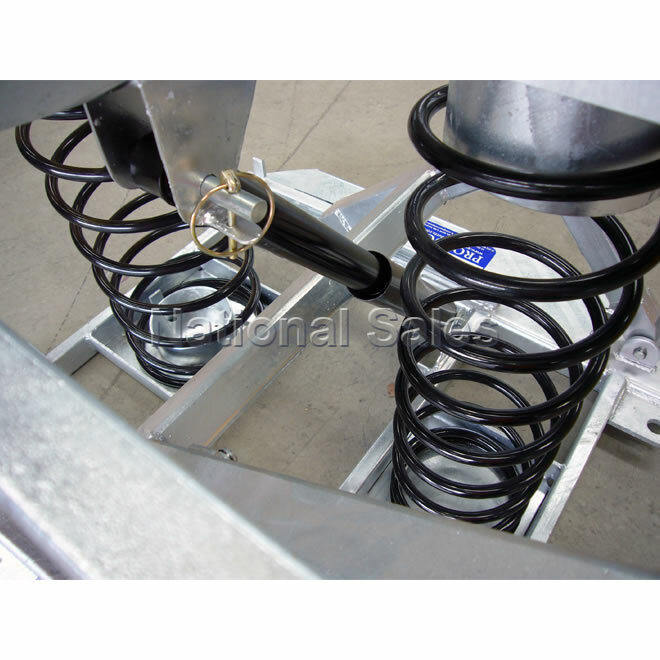 A shock absorber provides gradual and controlled raising and lowering. 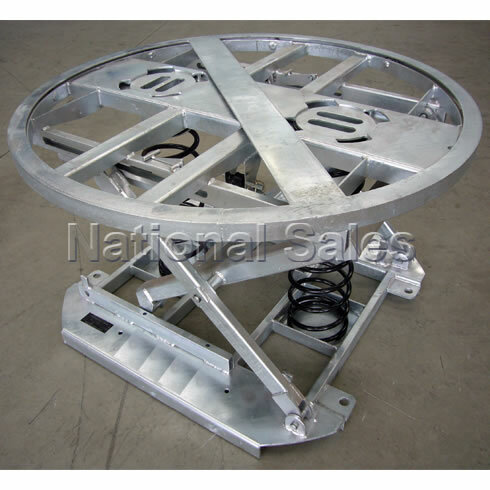 Complete with leveling feet and a rotational lock on the upper ring. 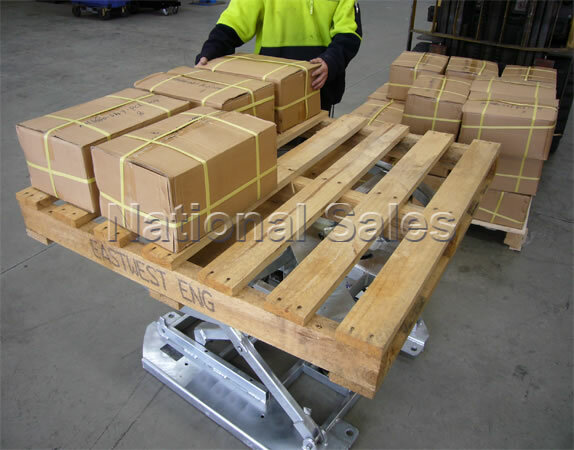 Integrated fork pockets allow for easy transportation using a forklift.